Paris truly is a walking city. It’s incredibly convenient and very easy to get navigate on foot, or public transportation…well….Unless your iPhone compass gets messed up due to a magnet on your phone case and leads you 5 miles in the wrong direction. Oopsie…. Did that really happen? If you see the Mr. Casually ask him how his 5 mile excursion For his wife to grab some salt went. The below is a screen shot that shows you the spike in steps that we took while in Paris. It was really awesome to see our progress once we got back to Korea just how far we covered on our entire trip. To give our legs a bit of break we did purchase 48 hour hop-on hop-off bus passes through the Big Bus tour company. I know, I know, our friends teased us a bit and gave us some wise cracks on our age, lol we hear you! The hotel helped us arrange the purchase, the closest stop was very convenient to our hotel as well. It actually worked out quite nice because the day we decided to use it, the morning and early afternoon it rained. We liked that there were free headphones to take and grab and plug into and listen to the audio as it provided a guided tour through Paris. This gave us more background and history on different buildings, monuments, etc. We also enjoyed the fact that it was a great way to explore Paris and enjoy the unrestricted views of architectural beauty from the upper deck. We captured some awesome photos and video this way. 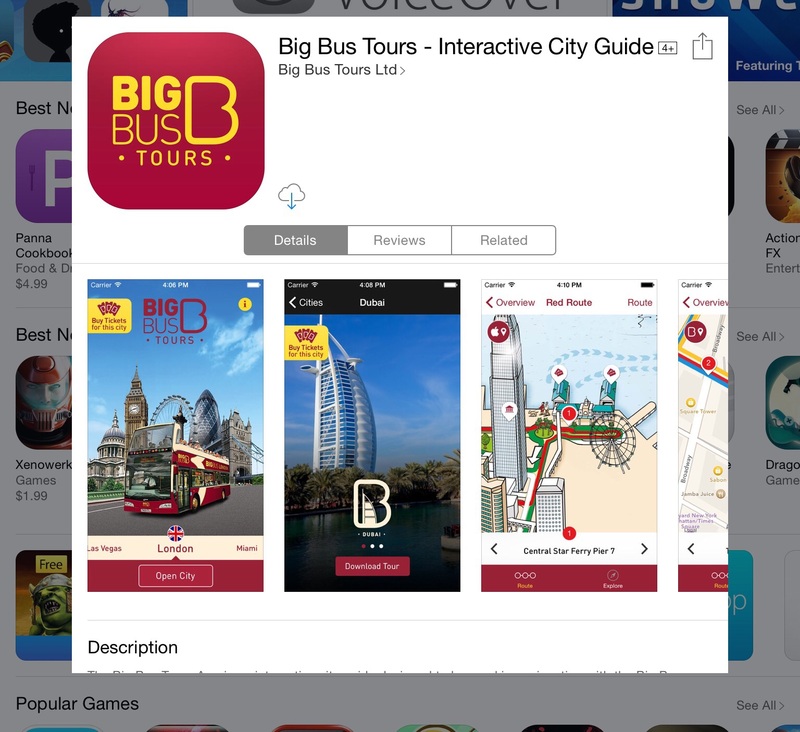 There is also a Big Bus Tours – Interactive City Guide App. The app has maps for various other countries and tours that you might decide to do in the future as well. Super user-friendly too! We hopped off the bus and took the underground tunnel up to the Arc de Triomphe. the Arc stands at the centre of the Place Charles de Gaulle, also known as the “Place de l’Étoile”, and is located at the western end of the ever popular Champs-Élysées shopping district. We caution not to be that guy that tries to jet across the heavily traffic congested roundabout, there are NO crosswalks. To give some perspective, 12 roads converge here and there is a lot of horns blowing. There are two entrances and exits you can use to directly access to the Arc in the center. A bit of history we learned about Arc de Triomphe was that it was commissioned by Emperor Napoleon to recognize French soldiers, unfortunately Napoleon never had the opportunity to marvel at it because he died before it was completed. The Arc de Triomphe is just a magnificent structure. Travel photos and magazines just do not do the monument any justice when showcasing the size. Standing there in person we felt like ants! We just couldn’t get over the size of this monument! It depicts and represents not only history of fallen soldiers and wars, but pure elegance, incredible beauty, and just outstanding design, symmetry and detail. We purchased our two tickets for a small fee and ascended over 280 round steps up the inside of the monument to the very top. There is an option to take an elevator if need be. Many travelers provide reviews and say that this is a must do and see when visiting Paris and we absolutely agree. Once we stepped outside we were swept away with the 360 degree birds eye view of the city of Paris. Stunning! After seeing the views from high above in the bell towers of Notre Dame de Paris, I thought how could there be any better views left for us? Much to my surprise and delight the views were just as moving and breathtaking. The best advice we can give is when you go to Paris is just explore! Let your eyes and nose lead you to your next meal. One major difference we noticed was that the entrée is a starter in France, something we call appetizers. The main course is called the plat principal, or just the plat. Dessert is of course, dessert (THEE most important thing one to know wherever you travel). If you are curious, we will share just a few of the restaurants we frequented/ I had my camera along during our trip below. These restaurants are in no particular order. Each place was lovely, incredibly delicious, with wonderfully attentive staff making our dining experiences in France an absolute delight. Swoonnnn… reminiscing about these places still is making my heart flutter and my stomach roar! We checked into our hotel and after getting settled in we asked the front desk if they had a recommendation within walking distance. This was the place they sent us to. When we think of a cozy French restaurant this is the place that will always come to our minds. There are only about 10-13 tables inside. The place always seems busy with not only travelers like ourselves, but locals too. Upon entering we were immediately greeted and welcomed to a table. The menu is presented on handwritten chalkboards. It was fun to watch the staff move them around to anyone new that came in. The food was excellent! We ordered the rack of lamb with thyme. The dish was evenly cooked from edge to center, absolutely beautiful, tender, Ooooh so melt-in-your-mouth perfection. Thank you for setting the bar with our first meal in France. After our five mile hike up and to the Sacre Coeur we popped in for a bite to eat. We sat outside enjoying the perfect views of Montmartre. The waitress was helpful with recommendations from the lunch board. The gazpacho and goat cheese Apéritifs are outstanding here, steaks were a bit overdone even after ordering them rare, and the french-fries were perfectly crisp and non-oily. All and all not a bad choice when in the area. I’m obsessed with macarons and now unfortunately for my husband… he is too. (SORRY) These macarons were worth every single penny when you want quality that’s outstanding with each and every bite. They had the perfect combination of texture and taste. Crispy, chewy and creamy! The staff were so helpful and kind making the entire experience that much more special for us. Go big and splurge with trying a box of all the flavors assorted. (YEP, WE DID). We enjoy ADORE our coffee in the mornings so we were delighted to find a great little cafe to serve as our home away from home. The owner was incredibly helpful and explained that we could help ourselves with a plate and pick out anything that we liked while he made our coffee and cappuccino order. We felt really comfortable while we sipped on our coffee and nibbled our pastries. This cafe has free wi-fi too! As the old saying goes, “When in Rome, do as the Romans do…. Sooo because we’re in Paris and not Rome…A nutella crepe is a must do! We stopped in for a quick bite to eat after we did the Notre-Dame Cathedral. Everything was fast, service was friendly, and before we knew it our piping hot onion coup, croque Monsieur were just want we needed to keep going with our walk all over the city. We couldn’t help ourselves! We know we should have been taking full advantage of the fact we were in France, but our nose and belly told us we NEEDED to go here. Everyday when walking by this place had the most incredible aromas wafting out onto the streets. AH! The appetizer plate with a tasting of pickled/ sauteed veggies and breads, outstanding. We ordered a pizza and also the ravioli’s based on others recommendations. The food and service were of this world! Make sure to grab dessert too! We ordered tiramisu and were blown away! Yelp recommendations were spot on! Convenient location just outside the Ecole Militaire Metro exit. Perfect sidewalk cafe for a late night meal or snack. We sat outside enjoying our escargot and sipped on a nice bottle of wine. Did we happen to mention we REALLY enjoyed the escargot?? WOW! It’s hard to even begin to put into words how excellent this meal was. We were incredibly pleased with everything from the service, to the wine, to the meal. A must go if you’re in the area! If you get the chance order Terrine de lapin confit, salade de carottes roses pistachio, saumon, asperges, sucrines, verveine, Filet de bœuf en croûte, Goat cheese cake with blueberries gateau au chocolat du pasteur ! WOWWWWW!! A teeny tiny little coffee cafe that serves excellent cappuccinos and flat whites. When we travel we are always on the hunt for the perfect beans and most enjoyable cups of jo. This place met the criteria. Make sure to carry cash with you if stopping by, as the barista will only let you use your card if you’ve got an order over a certain total. Sit outside the cafe sipping your drinks, savoring your slice of carrot/ banana bread, and people watch before getting along to start your day. When we got married, we never really had a destination honeymoon, we opted to head to the Baltimore Inner Harbor. We were the responsible types and both agreed purchasing our first home together was much higher on our list of priorities. Still to this day, I’ve never thought back and wished for anything different… It was truly one of the first together oh shi* we’re a grown-up married couple smartest decision ever moments we had made. High-five younger Bee couple, high-five! Fast forward though 8 crazy great years and an incredible husband saying these simple words, “Let’s celebrate our belated honeymoon / wedding anniversary in France.” I’m not certain that I even left him finish that statement before I was flying around our place looking for all my European travel and food books. This was the place I’ve dreamt of since I was a little girl! A little girl who idolized the stories of Madeline, a little girl who insisted on wearing a lilac purple béret in fourth and fifth grade to be more Persian, a little girl absolutely fascinated by the Eiffel Tower structure and has regular daydreams of a picnic under it, a little girl who has idolized Julia Child and has this burning desire to learn anything and everything culinary. Yes, I suppose my response to his statement was an unenthused, “yes.” Pleaseeeeeeee! My entire body was convulsing and screaming YES! YES! YES! I had to contain myself for a few months as the days got closer and closer to our special day. I’m the type that is so excited on the inside, but I fear if I’m too excited, something might happen. It’s absolutely absurd… trust me… I live this. Only a select few people knew of this trip because A. Work vacation time request, B. In case we went missing, C. They are our family here in Korea and spend almost every weekend with us and know of my silly little girl crush with Europe. Sooooo the big day came and we were off! It started out a bit touch and go as we drove down the road only to realize Mr.B left his coffee sitting by the front door. Oops. Then at the Starbucks in Incheon Airport. Lol! If you didn’t know, we like our coffee a little bit… The barista was an interesting character. We’d say the order and he’d repeat back something completely different. Well, wouldn’t you know, we got what the barista wanted us to have…lol! We had to laugh it off because we were on our way to PARIS! and the Worlds Your Oyster…HA-HA! You remember the cheesy Murray Head, “One Night In Bangkok?” song from the 80’s? LOL… to be honest I had to Google who sang the song because I was clueless, but I couldn’t resist using it because it was just so perfect! Anywho, We are back from our holiday adventures in Bangkok, Thailand. I realize that I am quite delayed because not only did I come back with Thai cooking spices, but a wicked head cold as well. Ah, the gift that keeps on giving when you fly. Yes, this little gift that has left me basically out of commission for about a week now. Today is Sunday and it’s still lingering and has me blogging from the cozy comforts of our bed. Speaking of beds… I have to get started on our trip and the hotel! We arrived in Bangkok, Thailand and were picked up from Bangkok’s Suvarnabhumi Airport (BKK) by our hotel. The drive was approximately 30 minutes and for the most part was all highways. Mr. B coordinated a pickup service with the hotel before the trip. Looking back we both agreed that we would have absolutely been fine taking the Skytrain (Mass Transit), however having the convenience of avoiding customs/immigration was REALLY nice and might have been worth it in the end. 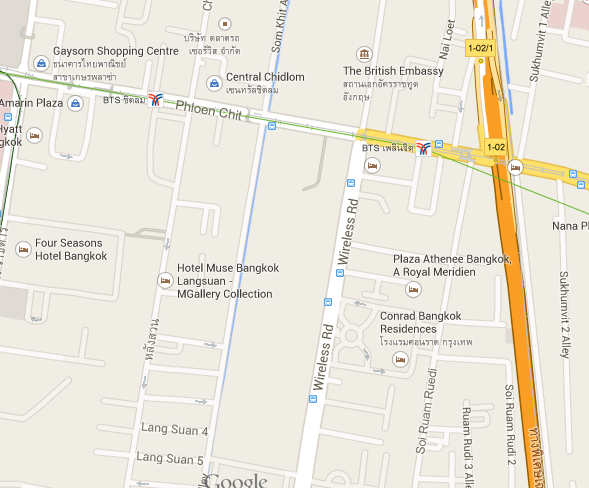 Conveniently Hotel Muse is just a short walk from Chidlom BTS Skytrain Station. So anyone following along that is concerned with the ease of Bangkok travel, we hope we help ease your anxiety. We arrived at Hotel Muse and were promptly checked in, greeted with an assortment of complementary drinks, both alcoholic and non. We then were guided to the elevators and whisked away to our home for the next few nights. The look and feel of the hotel is traditional Thai that meets a dark sophisticated chic. The primary colors used throughout are black, brown, greys and white, and that gives the entire interior a dark, mysterious, moody, sleek feel. All and all our room was appointed and very spacious with the uniqueness of a dark hard wood floor. Each night when we arrived back to the room, we truly felt like we were in our home and that feeling alone was completely worth it to us. (Don’t panic the window into the bathroom has a shade you can pull for more privacy). As I mentioned above, the hotel is located in a very convenient district within Bangkok. It is surrounded by many Embassy, major malls, and a mass transit stop. You would think that you’d hear some noise from the outside city hustle and bustle, but actually it was incredibly quiet and really relaxing when we were in our room. The cityscape views out the window were outstanding as well. I’m a sucker for tall buildings and the nightscape and this room hit the mark for me. Speaking of nightscapes, if you do find yourself in Bangkok do yourself a favor and at least visit Hotel Muse so that you can enjoy a drink high above the city at the Speakeasy Rooftop Bar. I could have sat up there all night and would have too if I wouldn’t have seen our bill. Whew we did some damage. This little package of happiness arrived all the way from Turkey with love. could anything be more magical? We love and miss you guys! Get settled in soon, you’ve got anxious visitors. Day 2 we woke up, ate breakfast and headed for Batu Caves. For the trip I used places and points of interest that my Uncle recommended from his recent visit to Malaysia, as well as my, “36 Hours Travel Guide” published by Time. Ever since viewing the photos that my Uncle sent me, I was memorized by Batu Caves, Tamil: பத்து மலை. I knew it had to be on our list to see and do. Luis was our faithful driver and tour guide, he had already seen and done Batu Caves, but decided to join us anyways. All 272 steps up and all 272 steps back down. In doing some research I learned that, the cave is one of the most popular Hindu shrines outside India. The limestone forming Batu Caves is estimated to be around 400 million years old. Some of the cave entrances were used as shelters by the indigenous Temuan people a tribe of Orang Asli. To be honest even looking at the photos now I couldn’t get over how small the place made me feel. The cave and steps leading up to it are just massive and endless. Fortunately because my Uncle had recently visited, he let us in on the secret that once you climb up the first set of steps you might think that you are done, but ohhh no you are not…there are three more sets to climb if you want to get into the entire cave to see it all. I wished I would have remembered to grab my Fitbit off the charger before we had left S.Korea because I know we killed it on steps that day. 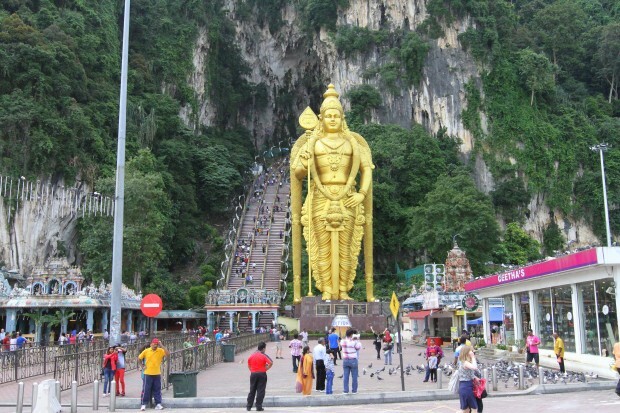 Outside of the Cave there the world’s tallest statue of Murugan, a Hindu deity. The status stands 140 ft and cost approximately 24 million Malaysian rupees. Murugan is made of 1550 cubic meters of concrete, 250 tons of steel bars and 300 liters of gold paint brought in from neighboring Thailand. WOW! Again with the feeling ever so small standing below or beside this status on the steps. In respecting the Batu Caves Temples as a religious place of worship, there is a dress code to follow. Basically anything above the knee is not acceptable. Certainly not my white shorts that match my freakishly tall white legs. I had to pay a small fee to borrow a wrap to cover my legs to be permitted up the steps of the Cave. Once I got back I returned the wrap and was given my fee back. We took multiple photos of the monkeys that live at the Batu Caves. Let me tell you, these monkeys have a prime setup with all of the tourist in and out of the caves. These little guys look so cute, but in reality these things are crazy! They swoop down so fast and grab anything that you’ve got in your hands. Bags, cameras, food, flowers, all fair game for the monkeys. We witnessed one monkey trying to take a yellow bag from a women and her husband as they tried to leave the caves. The woman made a huge commotion while flailing her arms and yelling, “NO!”. We then saw a small child with her parents carrying food that the monkeys immediately took without any hesitations. I read afterwards that these monkeys can be quite territorial and visitors needed to watch for biting. Again I read this afterwards. HA-HA so if you are visiting now you know before hand. Whew! That’s ALOT of steps! Do you think you’d make it up them?